Young Africa has a problem. Well, to be sure young Africa will face many challenges in the near future but curiously one of them seems to be under the radar -- not a priority item for governments and institutions. To hear the experts tell it, Africa will experience a population boom in the coming years and should be reaping what many economists have termed a demographic dividend. What will be happening on the other side of this is rapid urbanization? UN-Habitat estimates that by 2030, all developing regions, specifically sub-Saharan Africa and Asia, will have more people living in urban than rural areas. 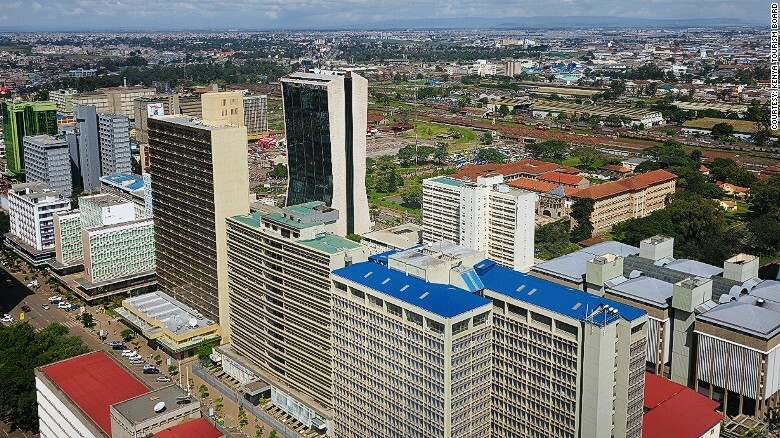 It denotes for many the progress that is being made by African economies; certainly urbanization in isolation can be seen as an indication of development and growth. The theory is that if we have people trooping to and staying in our urban centers then it must be that we have created the jobs to attract and sustain them. Let's return to another interesting statistic that was mentioned above: Africa will experience a population boom in almost of all its major economies. Nigeria is expected to have 174 million people between the age of 15-64 by 2035; in the Democratic Republic of Congo that number is predicted to be 70 million, in Kenya that number is 45 million and in South Africa that number is 40 million. Everywhere on the continent is expected to swell in numbers in the next two decades according to a UN-Habitat State of the World Cities Report. Another set of interesting numbers to look at is the current housing deficit in most of the major economies in Sub-Saharan Africa. In Nigeria the housing deficit is estimated to be 17 million units annually. In nearby Ghana an estimated 170,000 housing units are required every year over the next 10 years. The recently concluded 2013 Housing Survey by the Ministry of Lands and Housing in Kenya doesn't fare any better with the deficit estimated at 2 million houses over the next 10 years. All these statistics and numbers have a very real and clear implication for housing and they paint a very simple picture: on the one hand you have a young and vibrant workforce coming into its own against the backdrop of too few houses, on the other hand you have droves of new city dwellers who cannot afford or find decent affordable housing, creating new slums. The population boom, rapid urbanization and housing deficits across the continent is a three-dimensional problem with the same end: crisis. There is precious little that can be done about the rapid urbanization. There is a high entertainment culture attracting young people from the rural areas. It is easy to spot them on the streets of Lagos, Nairobi, Dakar, Johannesburg, Luanda, and Kinshasa. Many have bought into the new African dream and they will keep coming and we should encourage it. But only for a moment, because the realities of daily African life are all too apparent; we are always only moments away from the next clash of communities or outbreak of widespread violence. To the casual observer it seems immediate, spontaneous without reason, but that is not the case. These crises are often fueled by the intangibles: unemployment, inadequate access to decent housing, inadequate access to basic social services and the frustration that stems from all this. The failing of the new African dream for so many. None of this analysis is particularly ground-breaking or new -- however, it is interesting how little attention affordable housing receives as a factor to quality of life and as a possible deterrent to chaos and social disorder. Naturally, governments with limited resources and tenure and an increasingly more informed and more involved electorate shy away from long-term capital intensive projects; they want quick wins and sellable achievements. These questions frame the impending housing crisis, but how should they be answered? What can be done? A myriad of things, but we must first begin with the notion that no one organization or government can solve the housing problem by itself; it will require a coming together of shared interests. We must also determine that a one-dimensional approach will not suffice. We can then move on to tackling sociocultural impressions of home ownership and brick and mortar homes. The housing conversation in Africa has always begun and ended with home ownership, while the fact remains that most Africans cannot afford to buy a home at current market rates. Rental housing is a legitimate option and is a reality for most Africans. It is time to have it supported with government incentives and legislation. It is an option that has yielded results in countries like Germany and the Netherlands, clearly documented in a 2014 World Bank Report. We must also combat the preference for houses built with traditional methods; alternative building technologies continue to push the boundaries and introduce efficient and effective ways of constructing at reduced cost. Materials like mud and plastic have been deployed to wonderful effect and can significantly cut the cost for constructing a unit, but we still persist with the traditional ways of home construction even when we cannot afford it. e must also find ways to control the value chain a lot more; housing in Africa is expensive primarily because most of the material is sourced and imported. It will be interesting to see if a boom in manufacturing doesn't drastically reduce the cost of building materials. It is always funny how often people miss the relation between transportation and housing. If African transport systems are upgraded to include rail especially, it would give a city a rebirth and allow it to expand and create various suburbs or sleeper cities that would be less expensive to live in than the city centers. The housing conversation is a continuous one and it is one that will see a lot of changes as we witness symmetrical changes in technology, demographics and urbanization. However, it must always begin with the notion that we are running out of time to solve the housing problem and there is a new generation of Africans expecting to be housed. There are a thousand ways to approach the problem: not doing anything isn't one of them."